Learning about PayPal? We can help. "Online platform with an effective security system to make transactions with different currencies. " It is a platform on the web to perform any transaction with different currencies between users, with secure data encryption, work with an internet connection anywhere in the world, and operations are easily and effectively carried out. It has some complications when you are a beginner user but not for experienced users, as a transaction does not become effective at the moment you have to update the page or the web browser. You have to be careful if you want to sell an item, considering losing what you sell when negotiating with a scammer. Any type of transaction becomes effective, such as making transfers or your payments, and buying products with security thanks to its data encryption system to protect all transaction information, its interface is simple and easy to use for users. compatibility with reliable internet browsers. Ideal and effective for any transaction, make transfers between users in a safe and reliable way, the platform has a good system that protects all the information of the transaction. You can work with any web browser. "What is there not to like!" The ease of using paypal is like nothing else. You can pretty much use paypal to pay for anything on any site. I don't run a big business model, just on ebay and Amazon, however, the convenience of everybody paying through paypal makes the payment more secure as well as easier with customers. I love the idea that Paypal offers a "donate" button which quickly allows for donations for non profit organizations. Paypal is also super easy to set up. Step by step directions, all you need is a bank account and that's it! The only complaint I would have was trying to get a payment reversed was quite cumbersome. I needed the money quickly but they said they had to hold my money for 30 days for some reason. I called to speak to somebody and I couldn't understand what they were saying. I asked to speak to somebody else and they hung up on me. Stay with it! Paypal is continuing in the right direction. Extremely easy to use and set up. Great for small and large businesses. I'm mainly using this for selling on Ebay and Amazon and just having the confidence that I'm going to receive my money in a timely manner and safely is all I need to know. What I like most about PayPal is its mobile application and is that I do not know if other users share my opinion but to have your purse at the reach of a click, currently many physical establishments are allowing PayPal to be used as a means of payment, it is really very easy if you go to a cafeteria and pay the service at the reach of your mobile. On the other hand the mobile application is very light, so I do not have to worry about the memory of my cell phone, it is also very fast and its interface is simple, although that is a general quality of PayPal, since its web platform also has a simple interface and easy to use, plus it is very comfortable. I like to buy through PayPal because in any case that I do not like the product I can request a refund. My PayPal loves it, there is absolutely nothing I don't like about the platform and it's excellent to work with PayPal, I would describe the service in three words: easy, fast and secure ... I think those three features make it the best platform in the field of services. paypal is very friendly when adding it to the website to proceed to charge from the platform, it is highly recommended. Do not imagine how PayPal has helped me to make life easy, and is that for those of us who are regular online buyers PayPal is a great alternative, well actually is the best, because you are protected and you can buy easily from your cell phone at the reach of a click, and from the comfort you find ... and not only is a matter of security, but you can take better advantage of the offers because you cancel the moment they leave. On the other hand, as a saleswoman I can accept payments from anywhere in the world and that takes a problem off my mind, since you don't even have to worry about currency exchange because you can do it from the same page. PayPal is the best payment processor that can exist, and for many reasons, first of all its interface is very simple to use, I think anyone could use without difficulty the website, is very intuitive and easy to use, in addition its design is versatile and very nice, you can see the menu of all options on the home page. One of the most positive advantages and that I appreciate a lot of PayPal is the security I have when sending or receiving payments, because not only does this platform protect my data as any payment processor would, but it also protects my money, because if I make a purchase and my product does not arrive or in any case arrives defective, I can request a refund of my money through the platform. When I receive payments, I like the simplicity of the system, I can send a link to my customers with the exact amount of my services and ready, in less than 5 minutes I have my money in the account, without any payment problems. One of the coolest things about PayPal is its web application and is that it is simply the maximum, it is super fast, and I have my money at the reach of a click, I can also make payments from the comfort of the place where I am, especially now that more and more establishments allow you to use PayPal as a means of payment. It's hard not to like something about PayPal, because it's an excellent platform, very well developed, optimized and constantly updated, to offer a better experience to your customers. There's really nothing I don't like about PayPal, because it's a service that offers you a whole quality. With PayPal I don't have to worry about where my customer is, on the contrary I can work with customers worldwide because through PayPal I can receive payments from anywhere in the world and also through the same platform I can do the currency exchange without any problem. PayPal is my faithful friend. "Fast and simple online credit card payments"
PayPal is a web alternative to move my money from my bank account and my credit card, just enough to associate my card and allows me to buy quickly on websites that accept PayPal, it is very safe and has all the information I need of my transactions, I can say that its interface is very simple and has many languages ​​to choose from, PayPal is almost in all countries and works with many types of currencies. I would like the commissions were not so high, I have also had problems with withholding money and I do not like that, it takes up to 10 days to release my money. If you need to expand your business and obtain other updated payment methods, this is the indicated tool. PayPal is very helpful for me and my company because it allows us to integrate its tools in our applications and web pages to receive payments, so far we have not had security problems with PayPal, so I consider it a very robust tool with the one that keeps my money safe. "PayPal gives me security and confidence because it protects my money well"
"If you want to send money to other parts of the world, paypal is the solution "
I recommend paypal for all those who wish to receive or send a payment to a family member or a friend and even to an employee who is not in their country. "The best tool that exists to make your electronic payments "
"Excellent online platform with system for all types of money transactions or electronic currencies. " An efficient platform for electronic transactions between users, with secure data encryption, works with the web from anywhere in the world with an Internet connection, easily and quickly, since it has a user-friendly interface, which is used with any Web navigator. Its disadvantages are not complicated, if the transaction has not been effective it is necessary to update the page or browser. You have to be very careful when selling a product because I think you could lose the product you sell or the money when doing a business with a malicious user. Ideal for any type of electronic transaction, such as buying items, making transfers or payments securely and reliably through its data encryption system to protect all transaction information, its platform has a simple user interface and is compatible with web browsers. Excellent for all types of transactions such as making payments and transfers to any user in a safe and reliable way, with a good system that protects your data and information. You work from the web with any browser installed on a computer. I like everything about PayPal, and it was very bad with other payment processors, until the day I dared to register with PayPal, I had received very good recommendations from the service, but I had also heard that they had very high commissions, so I did not dare to register. However, when I registered I realized that it is worth the cost you are discounted for commissions, because the service is quality and especially have maximum security. The interface is very comfortable as well as easy to use and the technical service is always available. PayPal is the best payment processing platform I've ever worked with, to tell you the truth there's nothing I don't like, it's very optimal and of good quality. Don't think more about it. It's the best way to handle your money and keep it safe. A lot of features and ways to track and log your money. PayPal helps me a lot, and is that is one of the best applications that exists to process payments, first has a mobile application that in my opinion is excellent, is very optimized and is constantly updated so there are never problems with them, and I can pay or receive payments from anywhere I am, even abroad. When you work online many times you feel very vulnerable in every way, because when you provide services you do not know if your new customer will really pay you for the work you're doing, and well PayPal solves that problem, since you can request payment directly to your customer's account in a single click, quickly and securely. As a buyer you are even more protected because if the product does not match what you expected you can ask for your money back. So basically PayPal's help can be summed up in one sentence: 100% Security. "Fast transactions and efficient support service"
I like that it is a means where I can process my payments quickly, efficiently and very securely. PayPal offers me the best rates in the market, as there are payment processors that match their costs, but their service is very deplorable, in contrast PayPal's commission fees are high, but their quality service justifies the cost. I also like that they have a fairly simple user interface, you can see all the options from the home page and it is very intuitive to operate it. I love the advantage that I have as a buyer of being able to insure my product, because although it arrives defective I can request a refund of my money through the platform. I don't like the time PayPal takes for transactions and I'm not talking about transactions between PayPal accounts, but the time it takes to cash out my PayPal account balance when it's transferred to my bank account, it's pretty annoying to have to wait more than 48 business hours to get my money. You've got to use the invoice option, it's a great feature and works perfectly. I can use PayPal as a payment method almost anywhere on the internet, I never have problems with payment processing, starting with that is a great help. On the other hand it's great to be able to protect my money, because when I cancel with PayPal I don't have to give any personal data, so my banking security is totally protected and that makes me feel very calm and confident. The mobile application is one of the great aids of PayPal because you can cancel from anywhere you are, with the same security as if you did it on your computer. "Best way to move and take care of your money!" What I love about PayPal is the immediacy and ease with which I can send and receive payments, I just need to send my customers my email and ready. I also like that when it comes to me as a buyer I don't have to cancel any commissions because that's up to the seller or whoever offers their services. PayPal is the most famous payment processor in the world, so it is difficult to get a person who does not have a PayPal account so paying through this means is very simple. The application for smartphones is another of the great advantages that PayPal has, since you can take your PayPal account everywhere, as a bank account, and is that every day is accepted in more establishments. I like the security I have in the platform and I also like that the system does not send me unnecessary emails, on the contrary when I receive an email where PayPal is the sender I know that something important has happened. The interface is super comfortable to use, can be handled intuitively and one of the things I appreciate is that it has no advertising. The only thing that would improve the platform is the time it takes to process the transfer of the balance to your bank account, I know you must take the necessary provisions, but transfers take between 2 and 3 days to become effective, I feel that the time is very limiting, because as a customer when you decide to withdraw your balance is because it deserves urgent and having to wait so long is not feasible. Ther's no reason to not trust in PayPal, they have been offering their service from many years. Transactions are fast and their security is great. Don't hesitate of trying. PayPal has helped me in many ways, but the most special way is that I can accept payments from anywhere in the world and do the currency exchange through the platform without any problem. It also helps me receive my payments immediately and that's something that makes my life easier. "one of the best payment gateway!" Paypal has been one of my payment processors that has been very efficient and secure. With PayPal, it is only necessary to associate a card or a bank account with an email account with which you will make your payments on the Internet. As simple as that. It has allowed me to make purchases quickly and easily without any headache, being able to make transfers quickly is another thing I like, slower to enter the page or application to make the transfer of money. - Another thing that I like about this payment processor is that once you associate any payment method in PayPal, be it the bank account or the card, you can make purchases online in all the websites of the world that accept the service. Paying, therefore, is very quick and easy. The benefits offered by this service are many, for which you have a pleasant experience when receiving or sending money. So far I have not had any problems, it is very efficient and safe. Although, on the other hand, PayPal even though it has many advantages, one of the main drawbacks for many of the users and for me personally is the fees it charges for the transactions that are made. If you do not get paid those commissions would be very comfortable. but like every service must charge a percentage. Without a doubt I recommend it, paypal is one of the best payment processors in the market, easy to register and safe to manage. Transactions are fast. "It is the ideal digital payment platform to accept and make online payments. " Paypal is very fast I like one-touch start and the security offered is excellent for shopping lines is the most effective software that we used, the application works easily can open it anywhere with the same security, we are satisfied It is very helpful for our company. We do not have something bad to say about Paypal, our income has increased considerably, it is easy to use for people who want to pay online, suddenly if you do not have a good connection you can generate hassle; but it's not Paypal's fault, normal online is a good online payment tool. Paypal is a tool that has a history and reputation is 100% recommended, if what your company is looking for something safe and reliable fast is undoubtedly the right tool. And the coolest thing you can manage your money online, the monthly financial report is very detailed you can see all your income and expenses. It is a secure system so bank details are always protected thing that has improved the security of the company, since it generates confidence in our customers and of course the immediacy is collaborative the same day you make the payment will be available in the account of the seller, which is very helpful for our company. "Ideal payment method for electronic commerce"
Paypa is a very secure payment platform, I love how easy integrations are for the web and it is also very good to be able to move my money from the bank, it allows me to send money anywhere in the world with just a few clicks, when Its interface is very easy to understand. There are only a few things that I do not like about PayPal and one of them is that the session closes very fast, besides the commissions should not be that high for the users of the platform. If you want to expand your business PayPal is a very good tool to do it, however I can be a bit expensive. In my work we use PayPal to be able to integrate them into our electronic commerce webs, this payment platform offers us many interesting services, among them the payment with a credit card. "I receive payments on my PayPal account." most usefulness thing about PayPal is that it eases online transactions from sending to receiving payments and paying online for goods securely and fast. - is easy to create a PayPal account and confirm your Email Adress. - with only a confirmed email address you are able to receive payment to your PayPal account. 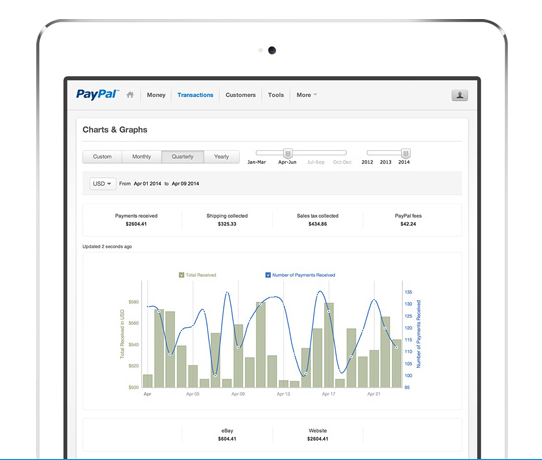 - PayPal allows you to send customized invoices and reminders to customers. - PayPal checkout helps you confirm details of person you are sending fund too. - it is easy to get receipts and transaction history of your account. - Withdrawing Funds from a PayPal account is easier. - you are able to send and shop online even without a PayPal balance provided you have added a debit/credit card or a bank account. - it easy to set up automated invoices sending to customers and also automated payments to several accounts. PayPal support system could sometimes take longer to help you solve account related issues though its hard for an account to have issues. - debit and credit card confirmations sometimes could take longer to take place in order to use the card on your account. - if you entered the wrong information while signing up an account, you are only allowed to change the information if it`s only few letters misspelled or else asked to upload ID details to help you correct the information . PayPal is a better online Payment solution for any type of company, its useful for both personal and professions purposes, it send notification to your email whenever you receive payment to your PayPal account, it is secure easy t use and also solve any account related issues. PayPal has really helped me out, sending customized invoices and also setting automatic Payments to multiple persons is really helpful, it saves time and money when considering accounting software as it does all that by mostly providing transaction histories which could be printed and added to other places. Transfers to banks or non-PayPal users are pretty slow, and there was a MAJOR glitch a few months ago that resulted in a huge amount of unauthorized goal withdrawals from my bank account to a PayPal goal I had set. PayPal fixed it all and refunded the overdraft fees, but ugh! What a pain it was to clear that up! Be sure to double-check processing times for ACH withdrawals/transfers. Sometimes the processing time is unbelievably long, other times it is nearly instantaneous. You can use paypal for literally ANYTHING now, which is amazing. I love the PayPal.Me feature- that's what I use most often. The ease of transferring between PayPal and Venmo accounts is great, I just wish PayPal transfers from my bank to my PayPal were as fast as platform to platform transfers. PayPal has great customer service and they work quickly to resolve issues as they come up. Be wary of using the goals feature with automatic transfer- there was a MAJOR glitch this summer that resulted in huge transfers from my bank to my goals that were not authorized. PayPal made everything right, but it was a huge hassle and a shock to see what had happened. "Just what I needed. Easy, fast and safe." Free and very efficient when it comes to managing payments and insurance charges. Both in shopping online and in stores that support it. Transfers to bank accounts usually at a lower cost than in banking, with the same requirements and deadlines. Among users PayPal snapshots a cost. Paypal helps our company in programming automatic payments and it is also one of the platforms that we use for our customers to make their purchases in our online stores in a fast and comfortable way that saves us and our customers time. Paypal, the most used virtual processor in the world, my experience using paypal has been phenomenal, I can buy on almost all websites with paypal apart that I can receive money from anywhere in the world and any person or company, is a very malleable platform which have many functions in favor of its users, their payments are instantly following a simple series of steps to execute them, an excellent platform. Of paypal I do not like several things, first of all their commissions are quite high so their users tend to opt for other less expensive services as well as their policies of protection to the buyer most of the time that plays against the seller, they usually dispute the purchase as if they were not received the article and this generates loss to the seller who always opts for other services which do not have this kind of problems. Paypal has helped me both to pay and to receive money from all over the world in a very easy and simple way as well as to make purchases of products without any kind of limitation or excessive processing, Paypal although it has negative aspects, most of them are positive and is a platform which helps you to facilitate your life. "I trust fully in paypal." Sometimes the platform gets a little slow and does not allow payments at that time and I think they should improve that part. Of rest I do not have negative opinions since paypal gives solution to our problems at the time of making payments it facilitates to us in a very good and simple way since anyone can use it. "The best payment processor that exists." Definitely the most remarkable thing about PayPal and what made me want to use it is the high security it provides to its users, the payments are reflected in your account in less than three minutes, while in other platforms it can last up to half an hour being a problem if you need to access your funds immediately, it shows me every day to be the best payment processor, you can access it from all over the world and best of all, I do not need to leave my house to make or receive payments for services or personal tastes. I would like to have more options to verify my account, not all of them have credit cards where they can have dollars, recently there was an increase in fees for payments to third parties, however, it is still the best of all. It's simple, it's the best, register, it's quite easy and start enjoying this wonderful adventure of being an active paypal user. It facilitated that our trustworthy clients make their payments with dollars, from the department of analysts we can make purchases of equipment via online and pay the invoices with our personal accounts of paypal, it is an advance for all the personnel of collection since its application in said department is new and it has been noted how the purchases increased through PayPal, that means that people do not want it and we have it. "La mejor opción de pago por internet"
Desde sus inicios la Plataforma de pago por Internet se ha consolidado como una de las mejores opciones de pago a nivel mundial y local. Facilita la seguridad de las transacciones en línea y además tiene un proceso de mediación entre comprador y vendedor que asegura la fiabilidad y la resolución final de cualquier problemática surgida durante el proceso de compra. Imprescindible su uso en las comprar en línea. Al tener presencia en casi todos los países del mundo su uso a día de hoy se hace imprescindible. Tengo casi 10 años usando PayPal y jamás he tenido ningún problema, es fiable, buena comunicación y las devoluciones me la han transferido a tiempo. Puedo hacer compras seguras. Usarlo como tarjeta de crédito y tener disponible el saldo que yo quiera. Puedo pagar a plazos los producto que compro en cómodas mensualidades. Puedo recibir pagos y conectar todas mis tarjetas de débito y crédito. Podríamos decir que debería profundizar un poco más en sus relaciones comerciales con las empresas a nivel local y global para poder conectar a clientes y tiendas a través de su plataforma. De esta manera el usuario tendría más opciones de conseguir ofertas relacionadas con sus intereses y gustos. A veces pueden darse problemas entre vendedores-compradores y que PayPal puede no ser capaz de solucionar del todo. Aunque es muy fiable no hay que olvidar que no hay una garantía 100% de poder solucionar cualquier problema de comercio electrónico. Comprar y vender con completa seguridad en línea. Esta plataforma está conectada a la mayoría de grandes tiendas globales de comercio electrónico. Una vez que el usuario empieza a usarla se convierte en imprescindible para moverse con total seguridad por toda la red y con la total garantía de poder solucionar cualquier problema que surja durante todo el proceso de compra, desde el inicio hasta el período posterior a la compra. PayPal me ha garantizado la completa seguridad para realizar transacciones comerciales en línea a nivel global. La seguridad que me ha ofrecido es una garantía que para mi es imprescindible para comprar y vender con todas las garantías. No tener una cuenta PayPal es quedarse fuera de juego. "Procesar pagos en línea es más fácil con PayPal"
Gracias a esta herramienta, el procesamiento de pagos en línea es cada vez más fácil. Gracias a su flexibilidad y credibilidad, millones de usuarios aceptan PayPal como medio de pago en sus transacciones. Es muy fácil de usar. Entre sus ventajas considero que esta herramienta proporciona seguridad, bajos costos de comisión y flexibilidad. Además, gracias a su aplicación (APP) puede procesar los pagos en cualquier momento. Además, el sistema genera un documento para la operación, que se puede utilizar para registrar los pagos efectuados. Es cada vez más inteligente, es decir, la herramienta identifica los pagos frecuentes a proveedores o clientes, así como la posibilidad de programar un calendario de pagos o cobros. Además de su funcionalidad financiera, la herramienta es muy amigable, por lo que no es difícil de usar y entender su funcionamiento, además, en caso de problemas o errores el equipo de soporte y la ayuda técnica están disponibles las 24 horas para ayudarle. Entiendo que cada país contempla sus regulaciones sin embargo es problemático tener varias cuentas PayPal dependiendo del país en el que vivas, especialmente si viajas frecuentemente y resides temporalmente en un país, que no es necesariamente tu dirección oficial, esto crea un nuevo correo electrónico, tener nueva información de dirección, entre otros. Sin embargo, el funcionamiento y la aceptación internacional de esta herramienta es del 100%, lo que supera este pequeño inconveniente. Creo que podrían añadir un medio de pago a través de códigos QR para proveedores o distribuidores minoristas, ya que sería más fácil realizar transacciones directamente en el momento de la transacción de los objetos de comercio. La gran ventaja de esta herramienta fue recibir pagos desde cualquier parte del mundo a mi billetera virtual de PayPal, lo que me permitió crear nuevos mercados para la exhibición de informes de investigación que fueron patrocinados por universidades en el extranjero. It is one of the best payment tools that we have used so far, its interface is very complete and easy to use, I can receive and send payments to customers suppliers from any country we can also make service payments because there are an infinite number of companies that use this great payment processor, everything is very easy since you register with only some identity data you can start sending and receiving payments instantly, is a very secure platform in which we have protection against scams. Your service is excellent I have not had any problems with this platform, but I think it is a little high the percentage to send to other users of the rest this platform is the best. I recommend this great platform I've been using it for more than 5 years both personally and in our organization and it has always seemed to me an excellent quality service that helps us minimize many tedious tasks of payment! It is a very serious company in terms of the security it provides to its customers and the support is great because they solve any problem quickly. in our organization with this platform we can pay for most of our services we purchase both online and physically, just with a few clicks our payment is processed and enjoy the service we are acquiring immediately, no doubt this platform is going in excellent direction, is helping us to get to the next level thanks to its ease of use. "All My Payments are and will always be PayPal "
I have been using PayPal for about 5 years and it has left me with experiences and a lot of incredible knowledge. PayPal is undoubtedly the best platform to make and receive online payments. Then I will leave the things that have most impact me during my years using this incredible platform. * The easiest way to create an account: Have you ever imagined you could make a payment simply with an Electonic Mail? Do not? I do not imagine either making payments through an email, but it is Real, You can create your PayPal account in the easiest and fastest way and the best is totally free. You only have to add a Credit Card or an Email account and that's it, you can use PayPal immediately and from that moment you can make and receive all the payments you want. The Buyer Protection System, In this platform the main objective is the Security of Users and for that there is a Buyer protection system, which means that it has a system of disputes that in case of any problem your money It will always be Safe. "One of My Favorite Platforms"
PayPal is such a flexible platform, I often use it to send and receive money, that's probably my favorite use. However, I love having the ability to pay for items using a PayPal debit card or just using PayPal at checkout online. My favorite new functionality of PayPal is the ability to create goals and filter money into them. This has enabled me to save for things without theoretically moving money around or just using a spreadsheet. There's very little I dislike about PayPal, but I think it would be awesome if it operated as a bank with a routing and account number you could provide to do ACH transactions or direct deposit. I would like more options for getting cash as well, like PayPal kiosks that acted like ATM's or something like that. PayPal is a great option for running a small business and needing a platform that's separate from your personal accounts. PayPal allows me bill quickly and receives money right away from clients, I love that I get instant access to the money as well and don't have a waiting period. "Checking Paypal accounts is surprisingly easy"
Paypal is surprisingly easy to use. Verifications of each account are made very quickly, with only a credit card. Your system is very simple also when making payments, since at least you only need the email address of the sender, so that he can receive the money. Now, we do not like several things of Paypal, but none is serious enough to do without its use. The first is the fact that sometimes some transfers are not made, and the money ends up returning to our account. In addition, this lends itself a lot to the execution of scams. We also do not like the little capacity of personalization that the profiles of each user have. Paypal has helped us when it comes to receiving payments, mainly because of the speed with which it operates, and because of the small amount of bandwidth it consumes. Paypal is the ideal online payments platform due to its good optimization, and also its mobile tool has also helped us a lot to make payments of services in random sites of the street. Penso che sia un'applicazione molto eccezionale. quello che mi piace di più è la sua espansione, ha raggiunto un punto in cui quasi tutte le società di vendita e shopping online accettano questa piattaforma di pagamento, anche se ci sono negozi che non sono virtuali (fisici) che permettono pagamenti con paypal, oltre ad essere una piattaforma abbastanza semplice da utilizzare, permette di vicolare il proprio conto corrente bancario e/o una carta di credito, fisica o virtuale, e oltre ad effettuare pagamenti ti permette di avere la tua attività con quel mezzo di pagamento che è super veloce e semplice, inoltre penso a come accelerare le transazioni con paypal me, creando un collegamento diretto al tuo conto in modo che con un solo click puoi effettuare il pagamento desiderato con paypal me, creando un link diretto al tuo conto in modo che con un solo click puoi effettuare il pagamento desiderato. Ho risolto definitivamente i problemi con questa applicazione soprattutto in termini di velocità delle transazioni, il denaro viene gestito in modo rapido e semplice oltre ad avere la modalità di emissione delle fatture con il sigillo della mia azienda, numero di riferimento e sigilli di sicurezza. con lo strumento paypal creo un link dal mio utente in modo che il cliente effettui il pagamento direttamente senza errori, e mi permette di vedere l'indirizzo al quale invierò il prodotto che ho venduto. "COMPLETELY NEW, FLEXIBLE, FAST AND SECURE PAYMENT TOOL "
One of the best things about PayPal is that they take me into account as a buyer, because when I make purchases and use PayPal as a means of payment they don't charge me any kind of commission, because they charge the seller, sincerely I think this detail is great. Also that PayPal protects you in every way, because if you are a buyer and you are not happy with the product received simply notify and ask for your money back. As a seller you are also protected, because you can request payment through the platform before sending the product. I like the immediacy with which receptions and money transfers are processed through the platform, in a minute everything is ready. PayPal despite being a totally free platform, does not have the annoying advertising ads, I love that, and the best of the case is that you do not fill your inbox email with unnecessary messages either, when you receive an email from PayPal is because something important has happened with your account. 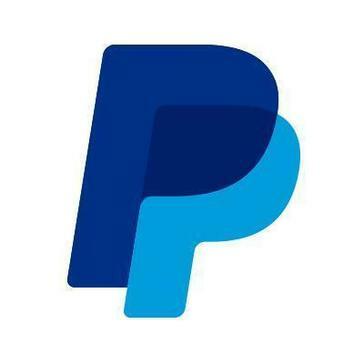 From PayPal I also like that technical support is available almost every time to help you with any eventuality you may have, attend you quickly and help you solve the problem. I would say that the only thing I don't like about PayPal is its commissions for transactions, they seem a little high to me. I also do not like that when transferring the balance from my PayPal account to my bank account has to wait between 2 and 3 days for it to become effective, I wish it could last a little less time the transaction. PayPal makes my life less complicated, because for whatever my clients want, all I have is to send them a payment request and ready without much protocol or science. "La plataforma de pago simple y rápida"
PayPal te permite realizar pagos al instante desde tu ordenador o tu smartphone, todas tus operaciones quedan registradas en tu historial de movimientos y puedes consultarlas cuando quieras, tu centro de ayuda es muy eficiente y responde a cualquier duda que pueda surgir y en el momento de realizar reclamaciones igual dar respuestas rápidas a tus problemas, hay un gran número de establecimientos que lo aceptan como medio de pago y varias páginas de tareas de Internet lo utilizan como medio de pago, es una plataforma conocida a nivel mundial y preferida por muchos usuarios que la utilizan. PayPal se puede utilizar desde un ordenador o desde su smartphone, todos los nuevos usuarios recomiendan descargar su aplicación que es gratuita y puede utilizarla en cualquier lugar para realizar pagos sin necesidad de entrar en el navegador. PayPal tiene políticas de privacidad muy estrictas que, si no se cumplen ligeramente, pueden significar la restricción de su cuenta durante un período de tiempo a veces corto o a veces muy largo. Todos aquellos emprendedores independientes que inician su propio negocio pueden utilizar esta plataforma como forma de pago de sus productos o servicios dependiendo de lo que usted haga. Con PayPal, los pagos de servicios o productos se realizan en la empresa. "Paypal es la plataforma de pago que siempre hemos utilizado en el negocio"
Paypal es excelente en muchos sentidos. Es fácil de usar para comprobar nuestra moneda en diferentes monedas, y realmente no tiene un límite de beneficios que podamos recibir como otras plataformas de gestión de pagos. Cabe señalar que su anexo de tarjetas de crédito es bastante fácil de ayunar. Al menos, soporta Visa, Mastercard y American Express, que son las tarjetas de crédito más comunes y utilizadas. Algo que no nos gusta de paypal es que es un poco complicado adjuntar diferentes tarjetas de crédito a la misma cuenta. Además, hay un problema recurrente sobre paypal que hemos investigado, y todavía no encontramos la razón. Es el cierre de cuentas de una manera sorprendente. En una ocasión nos pasó a nosotros, pero afortunadamente no sufrimos una gran pérdida de dinero. Paypal es un servicio de gestión de pagos online de los más recomendables, especialmente si se trata de utilizarlo como plataforma "trampolín" para recibir pagos de páginas como fiverr o toluna, y luego pasarlos a cuentas bancarias u otros servicios externos. Recomendamos crear cuentas verificadas. Paypal nos ha beneficiado mucho al permitirnos enviar pagos de forma tan sencilla, ya que su sistema se preocupa por ofrecer practicidad al usuario. Su interfaz está bastante orientada para que podamos monitorear cada pago y cobrar de la manera más organizada posible. Su sistema de solicitud de pago también nos ha ahorrado mucho tiempo. No cobra mucha comisión por las transacciones, lo que ahorra mucho dinero. "I love paypal, you can use it on any device." Let's talk about paypal, this payment platform has made my life very easy and fun, I love and fascinates your way of paying, only requires an email, amazing! in addition to its fast transfer, is instant payment in most cases! and relieves a lot of knowing that, apart from many other ways to collect which have served me a lot, you can send an invoice to your customers or pass your link Paypal.me apart from other ways of being able to collect or pay, is a very efficient and flexible payment platform. The only thing I don't like about this payment platform called paypal is that its commissions are quite high and it often scares its customers apart that also some payments fall into revision without knowing why this and it is necessary to wait 24h so they can release it which is something very annoying for most people who need to have the money instantly and not after 24 hours. ease of configuration for your website or business so that your customers can pay comfortably! Paypal has helped me to pay customers who are on the other side of the world as well as charge them in the same way, is a very easy and flexible payment platform for payments and collections worldwide and if you get to have any problem with your account or any outstanding payment or scam you can always count on the support of paypal to solve the problem without charging you absolutely nothing for the service. "I recommend PayPal for online money transfers "
1. opening Paypal account is easy and requires less information to fully start sending and receiving cash via it. 3. 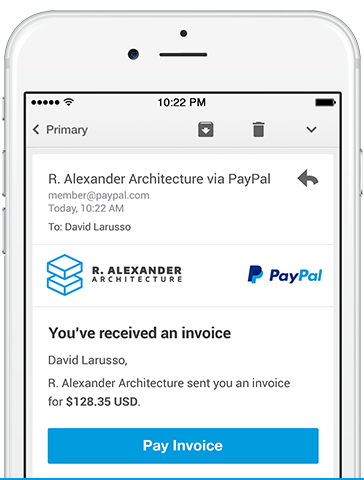 PayPal allows user to create customized invoices and automatically send to recipients repeatedly in a specific timeframe. I am now able to get paid fast, easily and more safely via PayPal ,payment is no longer a barrier when it comes to working and selling my work to everyone in the world. "Paypal we like for its speed to execute payments"
The best thing about paypal without any doubt is the ease with which payments can be executed. At least, it is extremely economical that you only need to place the email address of the sender to make payments, without the need to add bank or identification data. Its system of collections of money is amazingly effective. We do not like his wide commission charge, because you lose a lot of money in them. The preferences by region seem a bit unfair to us on the part of paypal, and the account bans without any explanation make us feel a little distrustful about the use of the platform. This seems to us quite arbitrary on the part of paypal, but the Spanish-speaking countries are the most affected, as they do not have a bank account in the United States that allows us to withdraw the money 180 days after the ban. We recommend paypal to the entire online store community. It is quick to make transactions, and it is easy to take the money and take it to your credit card. In addition, paypal continues to improve its service, so it will undoubtedly remain much longer in the market. We had serious problems because we did not have on hand a service that would allow us to review our income and expenses so comfortably. Paypal has saved us a lot of time thanks to the stability of its service, and we are quite satisfied with that. It has also helped us to keep our finances better organized. "Paypal is excellent and fast when handling payments"
What we like most about paypal is certainly how versatile it can be to pay in different currencies. This platform has a design that goes quite to the point when it comes to the payment method, having to add just a couple of data to transfer money. Paypal does not inspire enough confidence, and its customer service is a little obnoxious when it comes to responding to our problems. Sometimes they do not allow transactions for natural persons, but they do not say anything about this, which ends up in problems with technical support members. We highly recommend the use of paypal, since it does not charge a large percentage of commissions, and it is quite easy to organize within it. The platform offers the user a good schedule of payments received and sent, which can be filtered according to dates. Now, your portfolio management is very customizable. We had enough difficulties to get a service that would allow us to manage our payments without the need to add a credit card to your system. Paypal luckily offers this possibility. Now we are much better organized with our expenses.